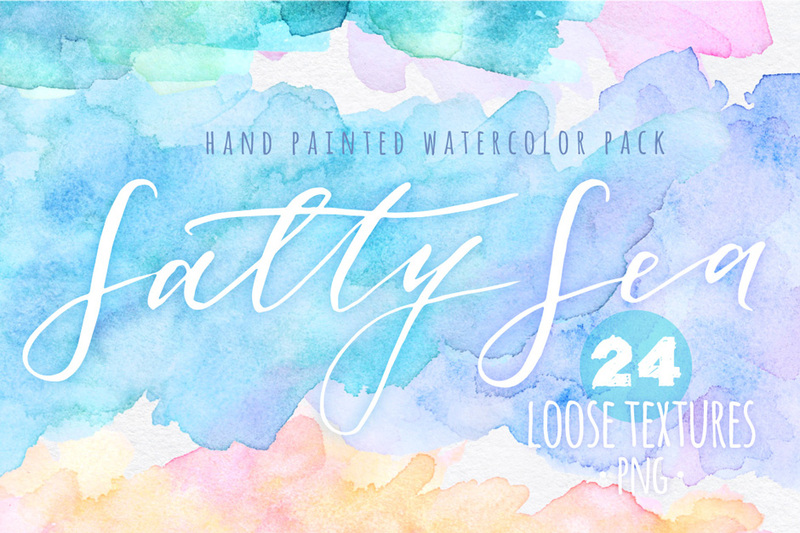 I am so happy to present you Salty Sea, a pastel watercolor textures collection with bright, vibrant and clean loose forms! As we all know there are endless possibilities where watercolor can be used! I find them perfect for wedding stationery, logos, blogs and branding. Feel free to mix and match textures, blend them together, change the opacity to get an even softer result, cut in shapes for logos or patterns. Those splatter shapes were hand painted and then manipulated digitally. All of the textures come in high resolution and in .PNG format with transparent background. Salty Sea pack includes 24 .PNG watercolor shapes. This product was originally featured in The Inspiring Artistic Design Collection. File size is approx 308.5MB (310.4MB unzipped), offered as a single download.